Mustard & Threadgill, Dartford – This weekend! 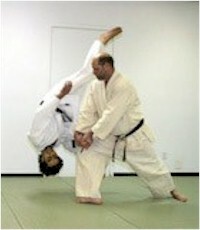 I am seriously excited about this weekend’s seminar at Dartford Judo Centre. Neil Saunders tells me there are a couple of places available, so if you want to experience the real deal, there is still an opportunity. ever they will be holding a joint seminar. Saturday 15th & Sunday 16th September 2012 at Dartford Judo Centre. The dates for the Seminar has been changed to 30th/31st October 2010. More information about the seminar are available here. Meikyokai Aikido are pleased to announce they will be hosting a two day seminar with Sensei Robert Mustard on Saturday 30th and Sunday 31st October 2010. This event will be open to all styles of Aikido regardless of affiliation and anyone interested in ‘aiki’ related arts. Mustard Sensei is one of the leading exponents of the Aikido in the world today having trained in Japan for 10 years under Soke Gozo Shioda, Takeno and Chida Sensei’s. The seminar will be held at the Dartford Judo Club in Dartford, Kent. For more information on this seminar, costs and booking form, please click here. The course will run from 10:00 – 17:00 on both days with the dojo opening at 09:00. If you have any questions related to this seminar please do not hesitate to contact Meikyokai via e-mail at info@meikyokai.com or via telephone on +44 (0) 7510 309 474.